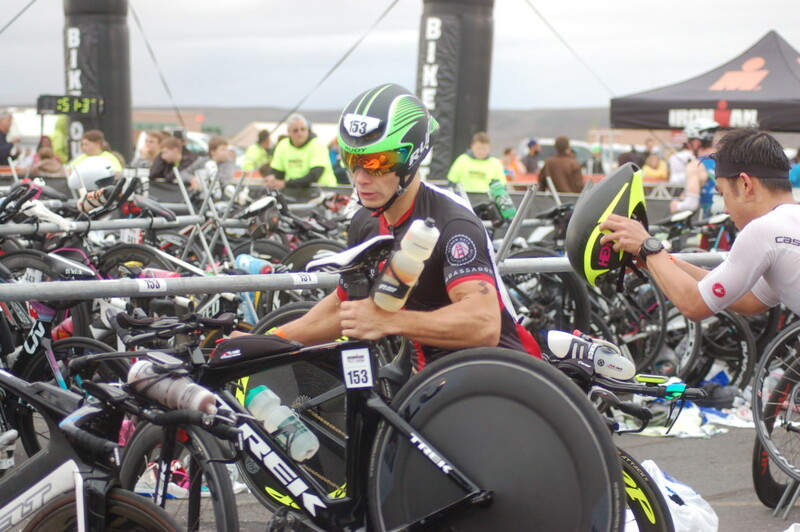 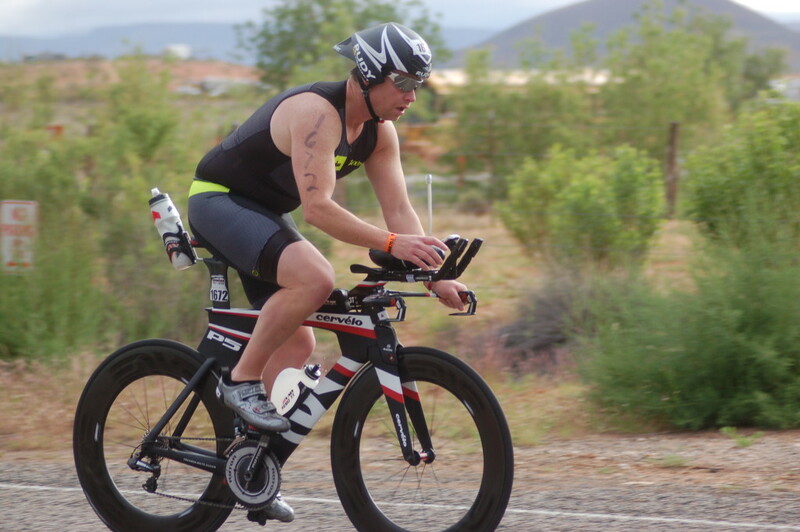 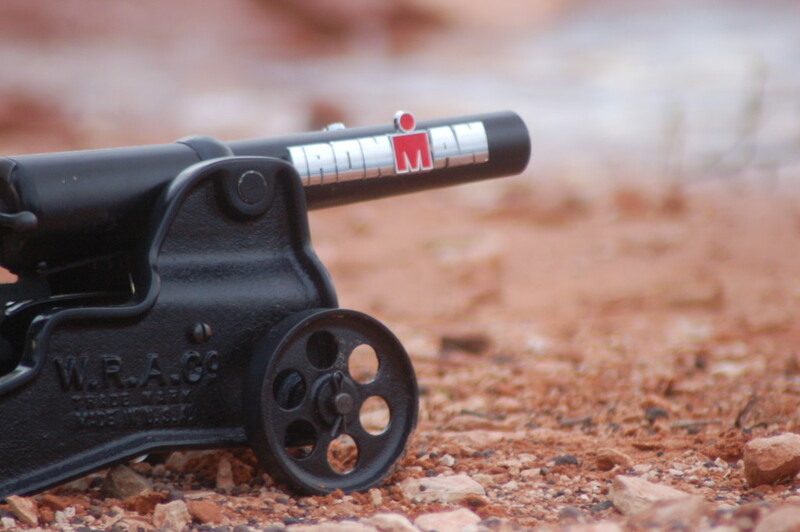 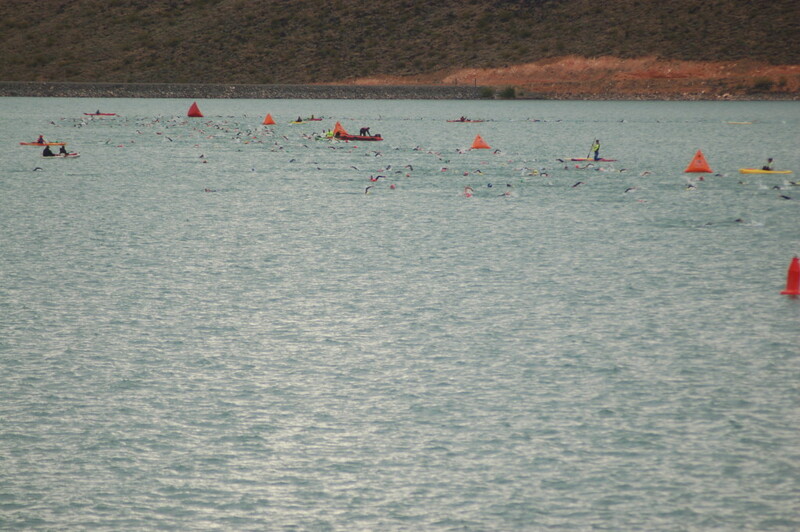 HURRICANE – It was a cold gray morning Saturday at Sand Hollow Reservoir for the start of the Ironman 70.3 North American Pro Championship. 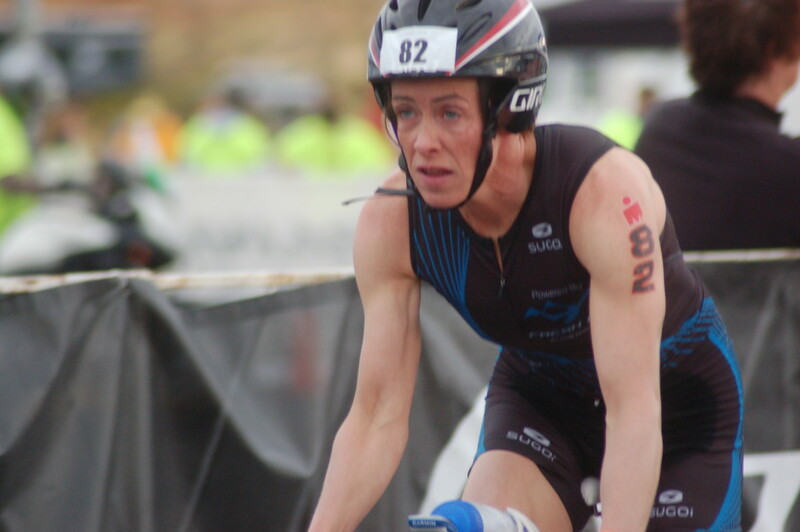 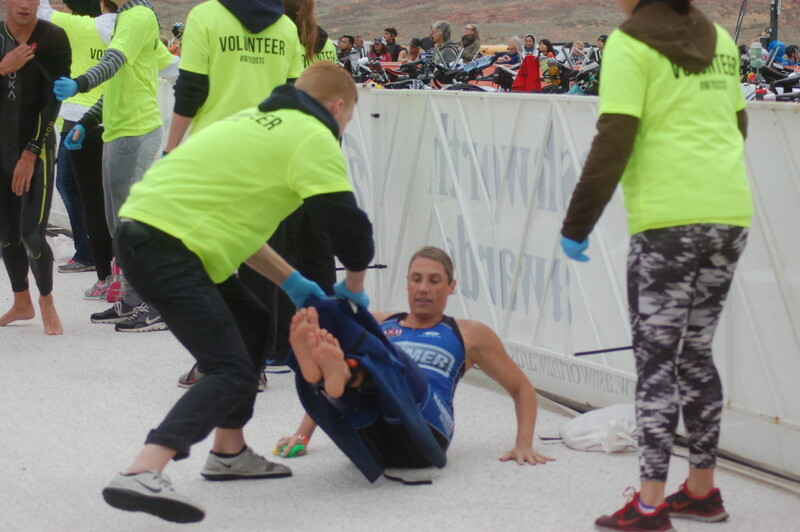 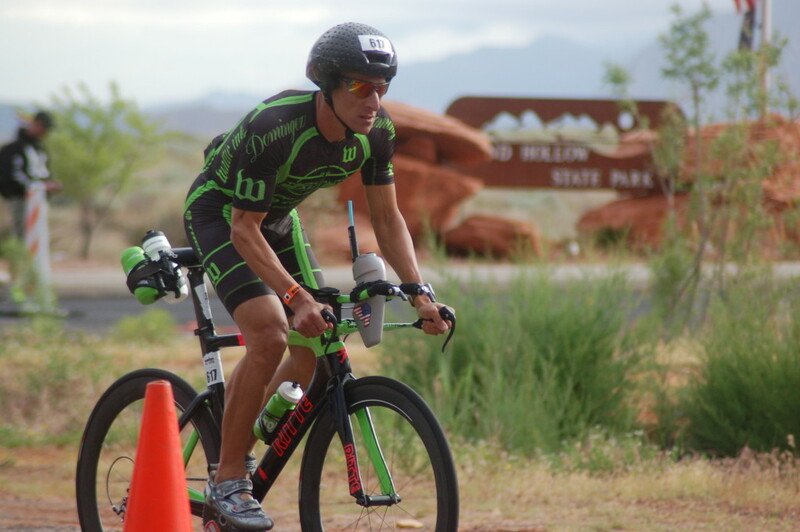 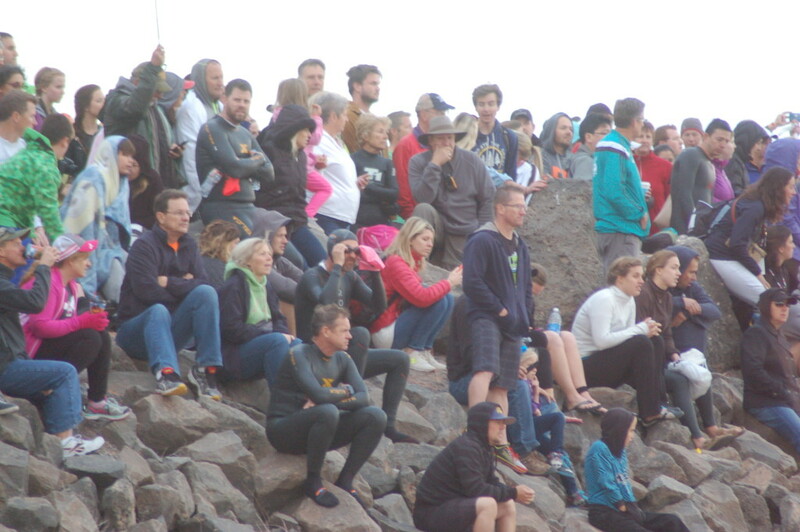 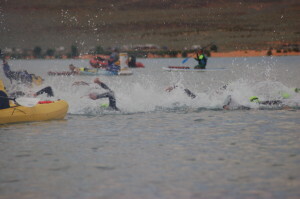 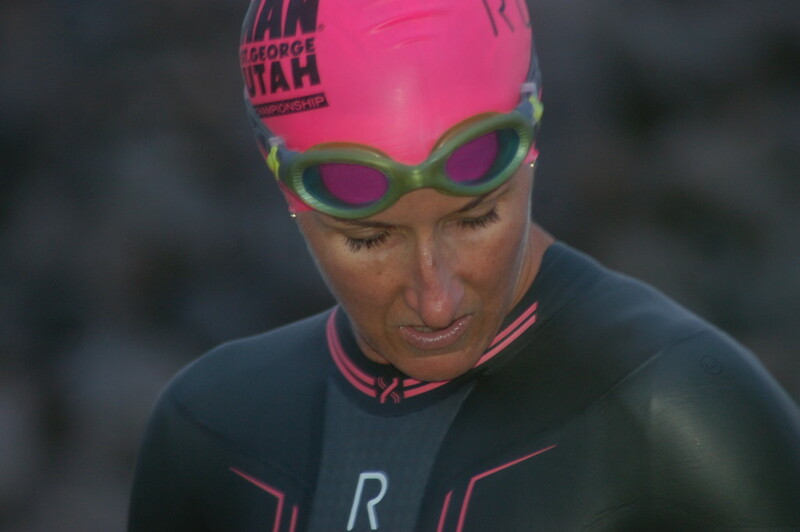 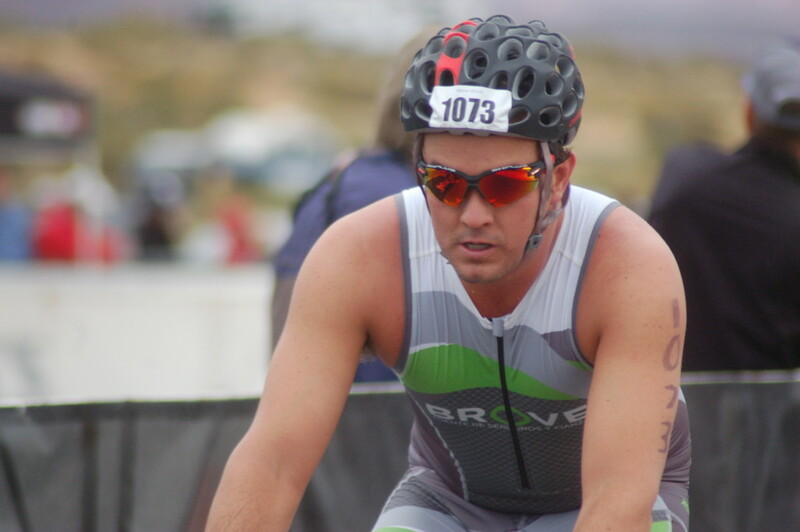 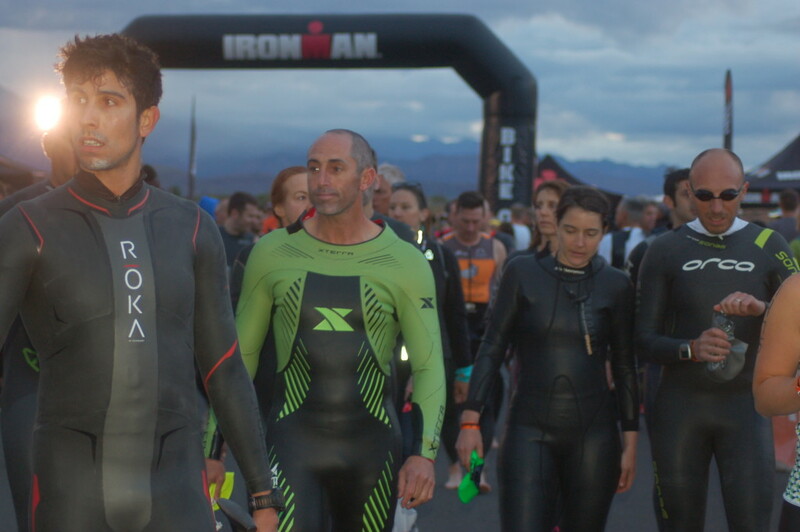 Southern Utah’s customary sunny skies didn’t come out to greet the thousands of racers and spectators that gathered for the swim start portion of the race but that didn’t stop the dedicated athletes from entering the water with steely determination. 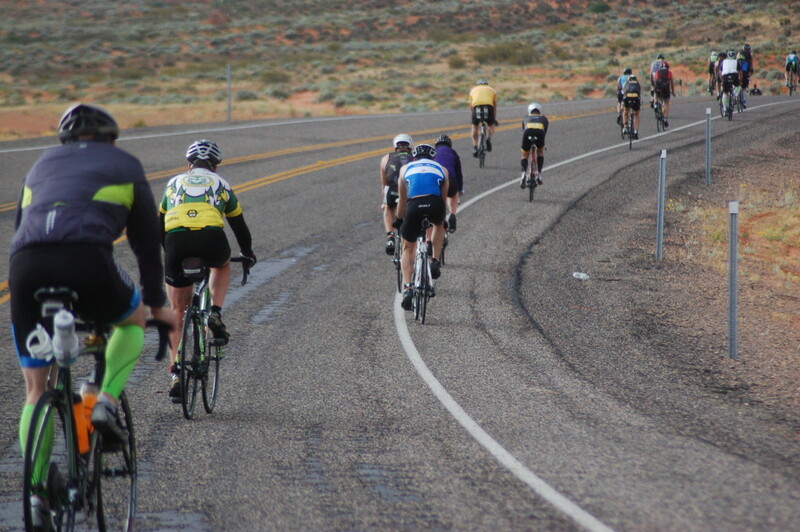 The outside temperature at 7 a.m. was 54 degrees and at the time the weather was cool but calm. 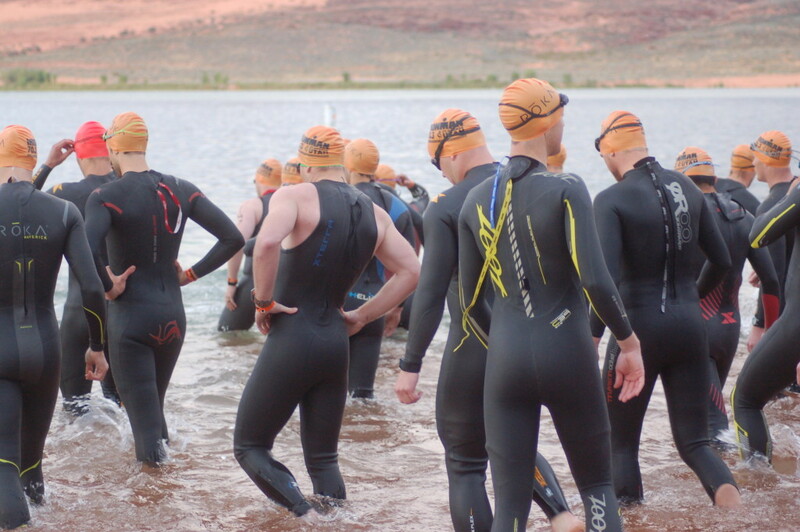 The temperature of the water was 10 degrees warmer at 64 degrees. 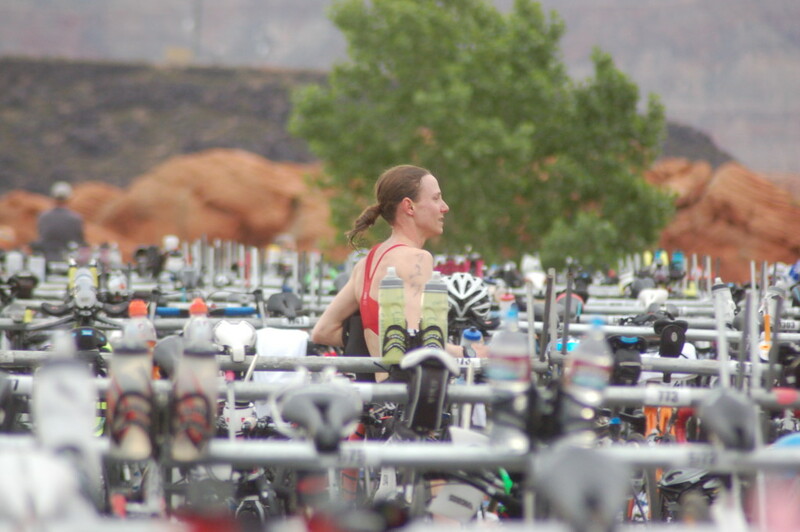 Before race start the energy level was high as athletes tended to last minute preparations including checking in their baggage and waiting in long lines to use the porta potties. 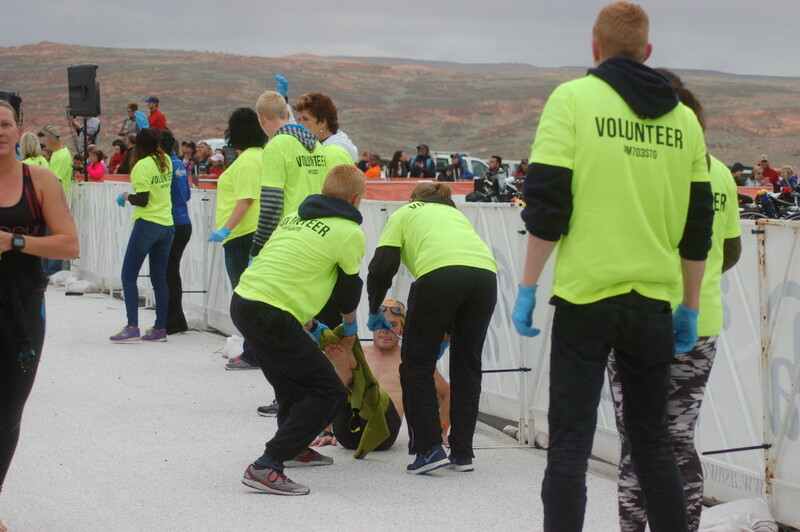 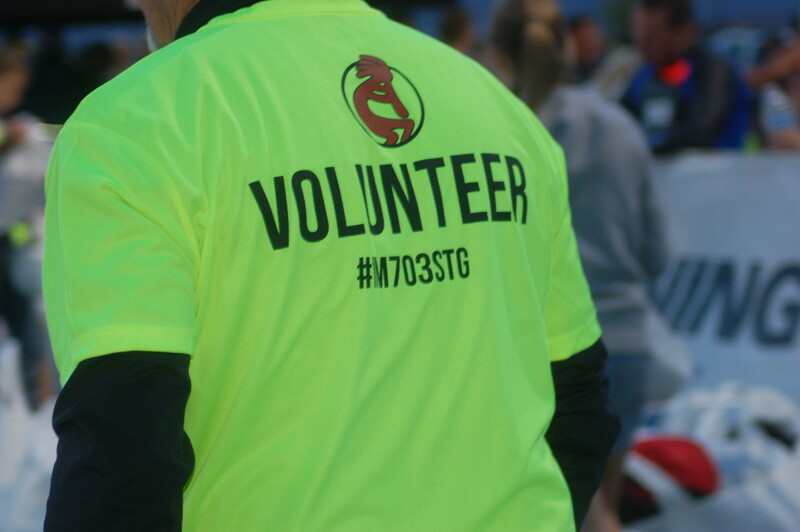 Hundreds of volunteers dressed in bright yellow shirts sorted bags, directed traffic, guided athletes through the starting shoot and helped peel wetsuits as triathletes left the water and headed for their bikes. 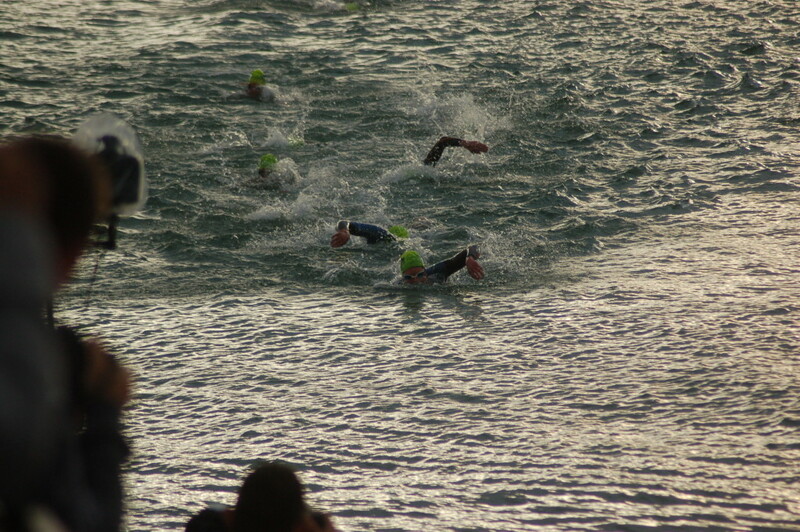 The race had an on-time start at 6:55 a.m. for the professional men followed only minutes later by the professional women. Athletes grouped into waves by age group flowed through the starting shoot for the remainder of the morning and soon a continuous line of swimmers cut a large swath through the waters of Sand Hollow Reservoir. 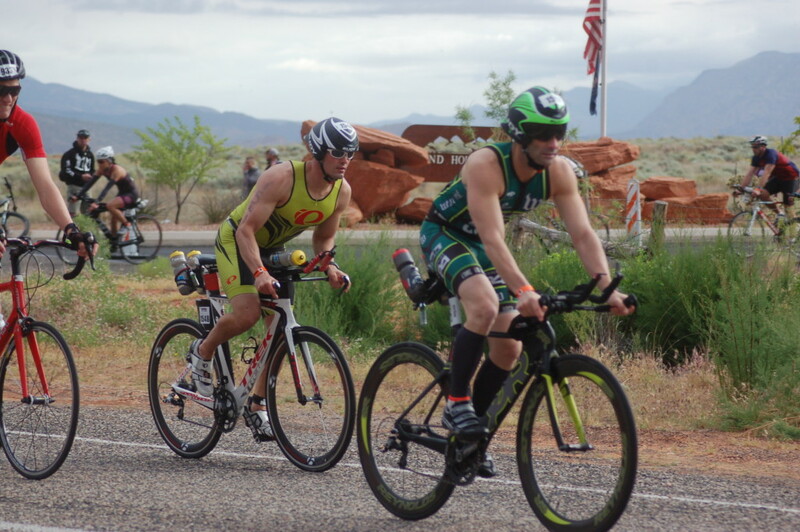 This year’s race boasted a stacked field of veteran professionals and the emcee at the race said that it was anyone’s race to win. 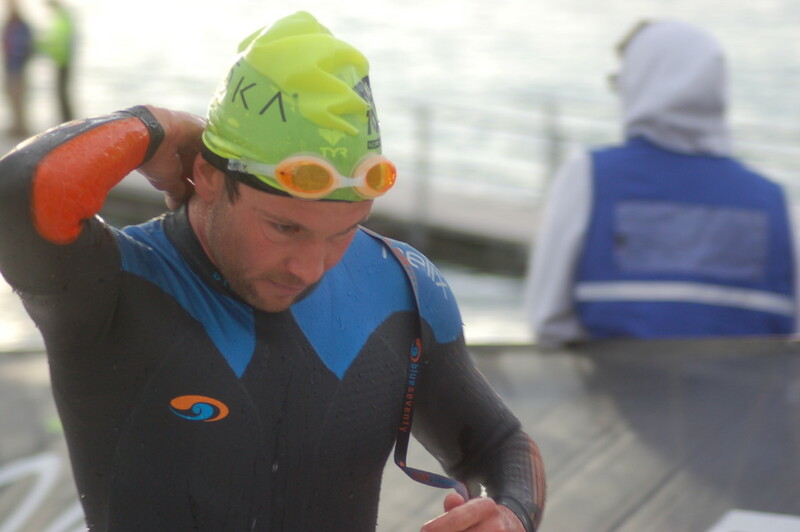 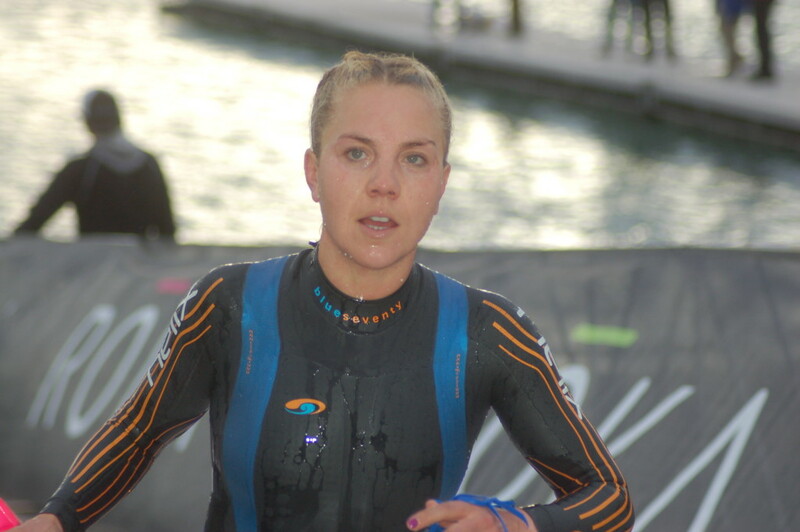 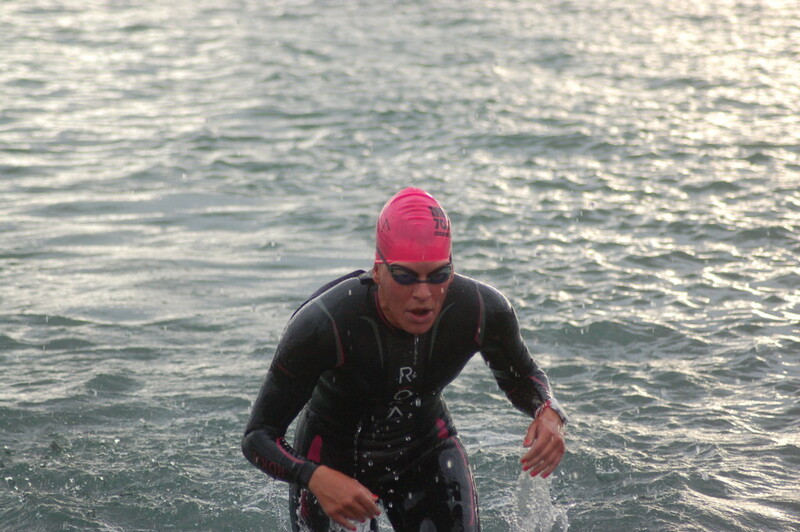 Cameron Dye was the first professional male out of the water with a time of 23:09 and Meredith Kessler was the first professional female out of the water with a time of 26:27. 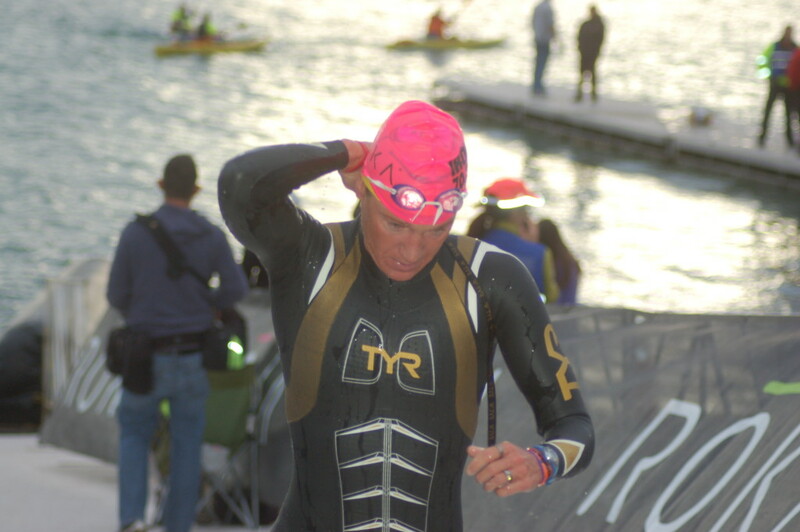 Though it is nice to come out of the water quickly, the emcee was quick to point out that the swim is only one discipline in a three-discipline race and that standings were likely to change as the race went on. 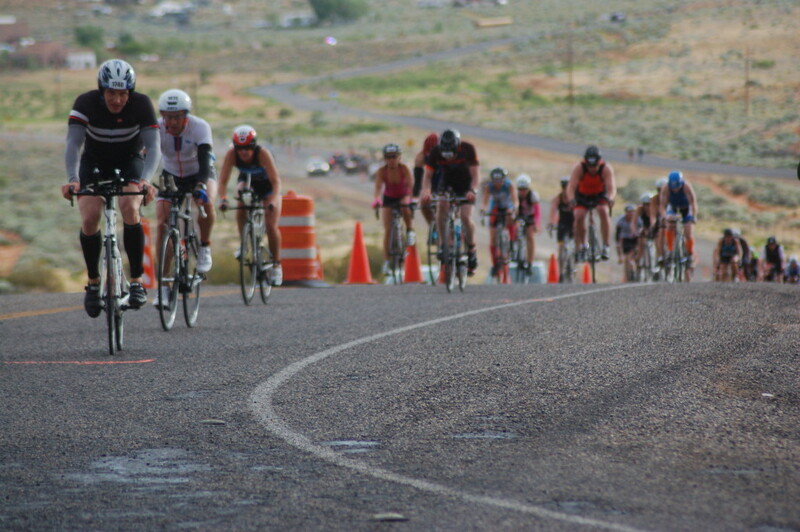 When the first age group waves were reaching the swim-to-bike transition zone and the last age group waves were lining up for the swim start, rain started to steadily fall and continued to fall as riders headed out for a soggy and cold 56 miles of biking to be followed by 13.1 miles of running.